Berry, Wendell. 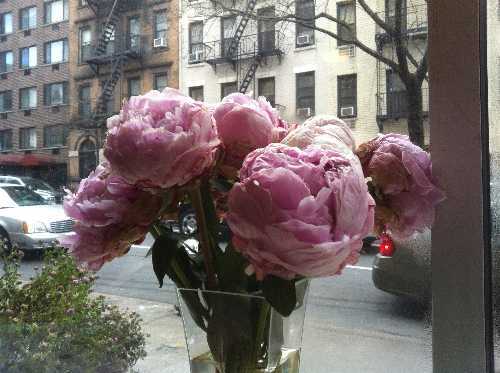 Art of the Commonplace. Ehrlich, Gretel. 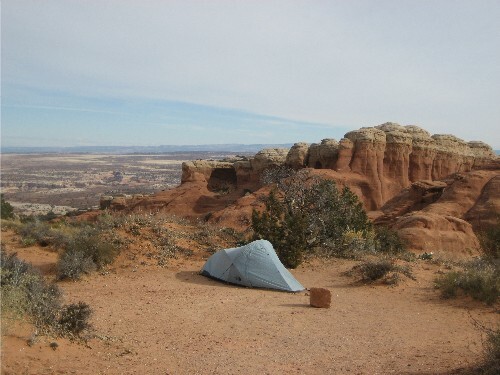 The Solace of Open Spaces. Griffin, Susan. Woman and Nature. Leopold, Aldo. Sand County Almanac. Snyder, Gary. Practice of the Wild. Stegner, Wallace. 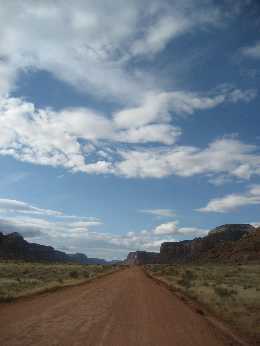 Beyond the Hundredth Meridian. Whitman, Walt. Leaves of Grass. Literary Criticism: Garrard, Greg. Ecocriticism. A Book on Craft: Murray, John. Writing About Nature. Optional/Extras: Olson, Sigurd. (title suggestions?? ); Wilson, E.O. The Diversity of Life. I’m currently reading Leaves of Grass, and I’ll be back here to offer progress updates as I read my way through this list. 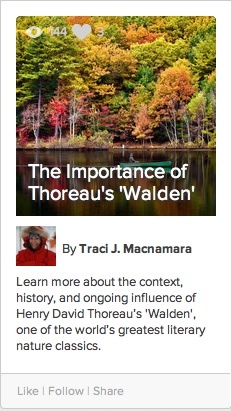 I’m still looking for a Sigurd Olson title recommendation, so if you have a suggestion or ideas for even more nature classics recommendations, please leave a comment! I’ve been in Norman, Oklahoma for the past few days talking about books and adventure at a high school of 2,400 students. Some of these students–about 150 of them–are lucky enough to take an elective class called “Reading for Pleasure.” When I first heard about it, I wondered if there was any other kind of reading. I mean–I thought all reading was for pleasure! Reading for Pain? Sounds horrible. But then I remembered back to those days of assigned reading. Those days when I had to read because someone was telling me what to read. And even now–those articles I have to read for meetings, or whatever. Yes–there is something other than reading for pleasure. I must have forgotten about it after reading a few good books of my own choosing. The “Reading for Pleasure” students get to walk into a classroom each day and read what they want to read, at their own pace. I’m jealous. They give presentations about their books at the end of the semester, but most of the time, they just get to read. 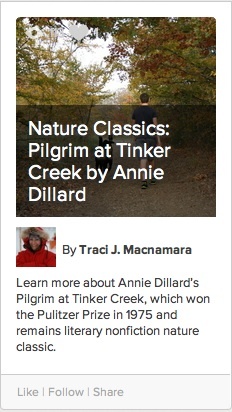 I talked to the teacher who designed this course and promotes reading for pleasure. Her room was absolutely full of books, and I asked her what she’d recommend for young adult readers. She gave me a long list and another handout including titles and authors high school students picked as their favorites. I’ll name a few of them here; many of them are either National Book Award Winners or winners of the Prinz Award for Excellence in Young Adult Literature. Quiller-Couch, Arthur Thomas, Sir, ed. The Oxford Book of English Verse. Oxford: Clarendon, 1919, [c1901]; Bartleby.com, 1999. www.bartleby.com/101/. [1.1.2012]. Title: The Leftovers // Author: Tom Perrotta // Publisher: St. Martin’s Press // September 2011 // 368 p.
Be on the lookout this month for Tom Perrotta’s The Leftovers, a sort of satirical novel that explores the startling question: What if millions of us disappeared in a split second? One moment, we’re there jogging on a treadmill at the gym. The next, we’re gone. And our families and friends are left behind to sift through the aftermath of our mass exodus. In The Leftovers, the residents of Mapleton are living through such a time, and Perrotta captures their story with a great deal of humor and wit. This is a good book for those who enjoy religious humor—Perrotta makes light of a serious situation without being icky or disrespectful. Even though some of Perrotta’s characters believe that they’re living through the Rapture, most are instead calling it the Sudden Departure because no one knows exactly why so many people disappeared on October 14. 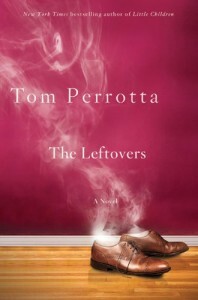 Perrotta gives us a glimpse of the lives of the leftovers three years on, at a transition time when widowed spouses are dating again, people are joining cults to deal with global uncertainty, and teenagers are rebelling from their parents, as usual. To read my full review of The Leftovers on the About.com Contemporary Literature website, click here. 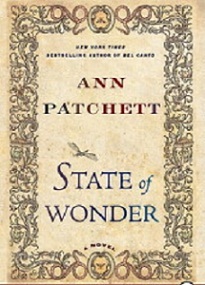 Title: State of Wonder // Author: Ann Patchett // Publisher: Harper // Pub. Date: June 2011 // 368 p.
Ann Patchett’s new novel, State of Wonder, has been #3 on The New York Times bestseller list for the past two weeks…and the NYT Book Review gave it some good buzz last weekend. I’d say that the attention is well deserved for this book and for Patchett, who has also written two books of nonfiction and five other novels, including Bel Canto, which won, basically, a bunch of big awards. In State of Wonder, medical researcher Marina Singh gets sent into one of the most alive places on earth to uncover an unexplained death. The book opens with news of a death announcement that arrives in Minnesota by way of an Aerogram sent from Brazil. Such startling news immediately sets this book’s plot into motion and begs the question: what in the world happened to Anders Eckman? Eckman—the deceased—had been sent deep into the Amazonian jungle by his employer, a Minnesota-based pharmaceutical company. But he doesn’t return. Marina Singh, Eckman’s loyal co-worker and friend, seems like the most logical person to uncover the truth about what exactly happened. So…off to the Amazon Marina goes, not knowing where exactly she’ll end up or what details she’ll bring home. State of Wonder is lush with the details of its vibrant setting in the Amazonian jungle, a place that teems with life: rare birds, poisonous snakes, and a tree whose bark promises a revolutionary change for Western medicine. Bringing together elements of adventure, travel, and mystery, this story sustains itself with a compelling central character and takes an exciting turn at the end. Click here to read my upcoming review of Ann Patchett’s State of Wonder on the About.com Contemporary Literature website. 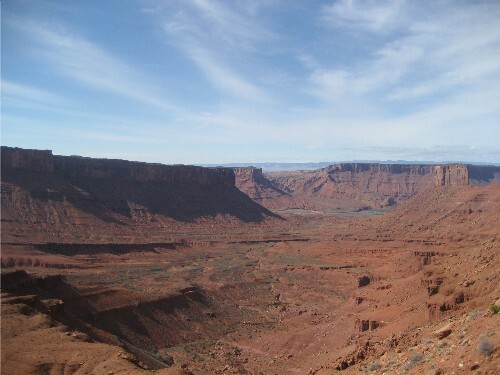 Walk, walk, WALK—that’s what one of my girlfriends and I propose to do for the next three days on an out-there loop in the Needles area of Canyonlands. Hopefully, we’ll find water, we’ll hear coyotes singing at night, we won’t get lost too many times, and we’ll come back without blisters. These are ideals. 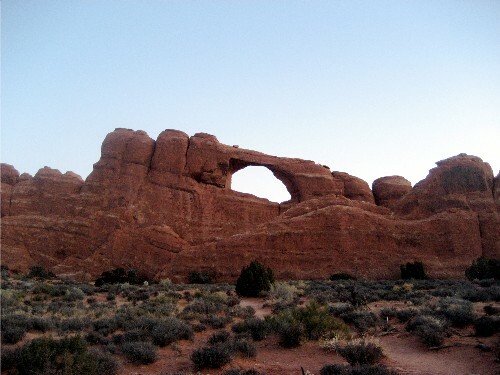 And one thing’s for certain—Abbey will be there with me, whether or not I carry Desert Solitaire in my pack. Title: Unfamiliar Fishes // Author: Sarah Vowell // Publisher: Riverhead Books // Pub. Date: March 2011 // 256 p.
It’s snowing here this morning in the Vail Valley—characteristically turbulent spring weather in Colorado’s mountains. Rain, snow, sun…repeat. I’m sure the big-fat snowflakes have some of the locals dreaming of warmer climates, so I’ve got a good book to recommend–not just for locals–for anyone out there thinking of lying facedown in the sand with the sun on your back: Sarah Vowell’s Unfamiliar Fishes. Published just a few weeks ago, Vowell’s new book reads like an adventure through a little-known moment in history that begins in 1819, when the first New England missionaries arrived on Maui, to 2009, when a song written by Hawaii’s last queen serenaded America’s first Hawaiian-born president, Barack Obama, during his inauguration. Besides offering a historically accurate account on this time period, Vowell also digresses from a straight telling of history into other entertaining topics such as hula, whaling, sailors, and her love for the plate lunch—a meal she makes a strong case for being the quintessential Hawaiian meal with its eclectic mixing of culinary traditions. This book fits into at least these three categories: history, nonfiction, funny. And if you don’t normally think of “funny” as being in the same context as “history,” you should read Sarah Vowell. One of my favorite writers, humorist David Sedaris says that Vowell has created her own category of writer: “funny historian.” It’s true—Vowell is like history’s version of David Sedaris. 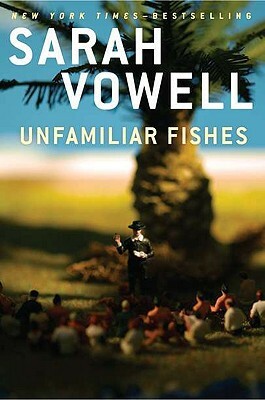 In Unfamiliar Fishes, Vowell demonstrates her ability to rewrite history—or even write it for the first time—with a trademark style full of personality, intelligence, and wit. 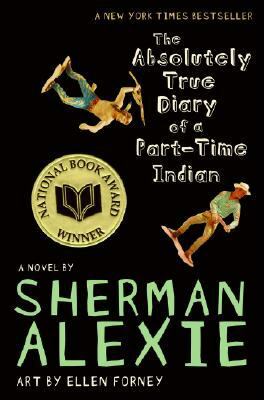 Click here to read my full-length review of this book on the About.com Contemporary Literature site.